Purpose House Transitional Homes, LLC is dedicated to providing the finest faith based residential Sober Living homes in Sarasota County. We currently have 8 homes available at affordable,competitive rates and we are now accepting applications for residency. We help each other stay clean and sober. Through active learning of the 12-step program, residents are taught to become giving and productive members of the community. They are afforded the opportunity to become the men and women they have always wanted to be, living with direction and PURPOSE. 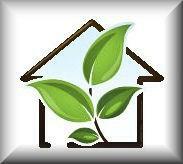 Transitional Homes, also known as Sober Living, provide a safe environment for persons willing to maintain sobriety. Our homes give the needed support and assist in a gradual transition to a happier, healthier lifestyle, with the realization that it IS possible to live a productive life free from alcohol and drugs. Many newly sober individuals are without a safe, clean and sober living environment and are forced back to the environment which may have caused them to use in the first place. Purpose House Transitional Homes, LLC is dedicated to providing the finest faith based residential Sober Living homes in Sarasota County. Our homes are available at affordable, competitive rates and we are now accepting applications for residency. Posting Comments below is for viewers on this website only. If you have information that can help users regarding Purpose House Transitional Housing, please provide it below.